Belgium's French-speaking region of Wallonia has proposed a new way of negotiating international trade treaties. The region held up the CETA free trade agreement between the EU and Canada. The so-called Namur Declaration, named after the capital of Wallonia, points out the heated debates around CETA is a sign the way the EU negotiates international economic and trade agreements, and the content challenges a large segment of public opinion. “This means that the EU is not in a position today to negotiate a balanced agreement with the United States, given the asymmetry between the partners, especially regarding the degree of completion of their respective domestic markets and the unresolved extraterritorial issues of US law,” the document said. The manifesto was signed by university professors from different countries, including the US and Canada. A copy of the three-page document was reportedly handed to European Commission President Jean-Claude Juncker before it was published. The declaration proposes respect for democratic procedures, compliance with socio-economic, health and environmental legislation, and a guarantee of public interest in the dispute resolution mechanism. The declaration explains negotiating mandates should be the object of prior debate in national and regional parliaments and involve as much as possible representatives of civil society. The interim results of the negotiations should be made public. 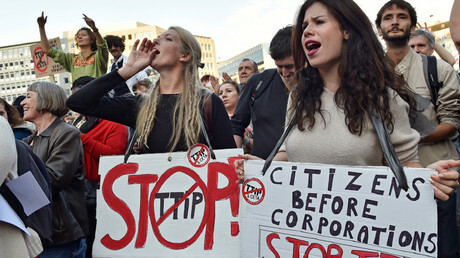 Negotiations over the EU-US trade deal known as TTIP have been stalled as there was much criticism of its secretiveness and lack of accountability. 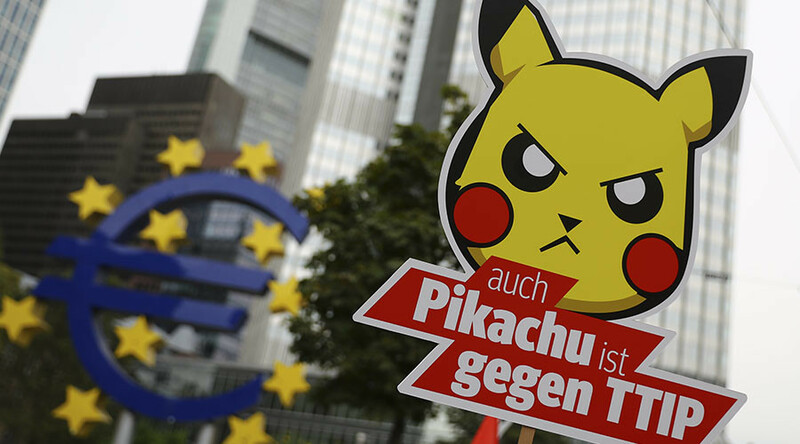 Opponents say deals like TTIP and CETA are less about trade and more about handing power to large corporations. The EU’s agreement on the CETA deal was reached after a last-minute round of negotiations with Wallonia in October. Wallonia's regional parliament blocked the deal insisting the secret arbitration scheme in which corporations can sue governments should be dropped from the agreement.